Notes to Self is one of those books that you can read for hours while losing track of time and being completely fine with the fact that you stayed up until two A.M. even though you have to get up in about six hours. 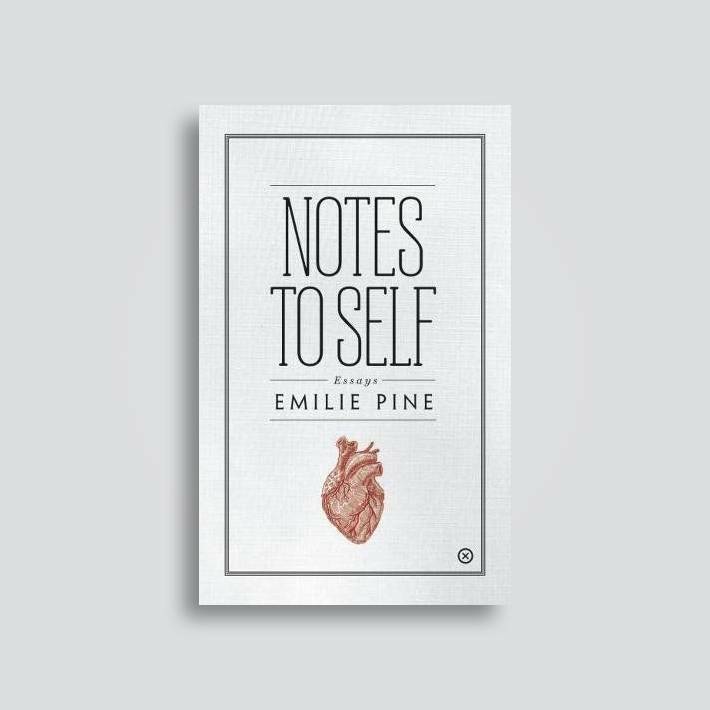 This debut novel by Emilie Pine is raw, honest, and freaking brilliant. I will tell you something- I have never been into essay collections, but after reading this book, I’m considering adding an “essay” category to the genres of manuscripts we accept for publication. THAT is how good this book is. I received this book before it was published to write an honest review, and I am so happy that I got the privilege to do so. Pine does not sugar-coat anything horrible that happens in her life, and she has a given talent for expressing her emotions in ways that others are able to relate to. In the course of a few months, Pine lost her husband and father to cancer, afterwards having a miscarriage for a pregnancy that took her several years of planning. There is no way that I can imagine having to face the tragedies that this woman did, and it made me step back and take a look at the life that I have. Sometimes it seems I take for granted all of the things that I do possess in life, and after reading this book, it showed me how to see the good in just about everything. Although Pine went through these tragedies, she still keeps her blazing personality and humor, which is just astounding and downright beautiful. In these essays, Pine talks about the difficulties that arise when trying to conceive, she talks about the horror of addiction, the natural conflict that comes with having a family, sexual violence, and many more topics. Notes to Self is sad, happy, devastating, funny- an amalgam of emotions that I did not want to put down. Read this book if you are a writer. Read this book if you are a reader. Read this book if you are a mother. Read this book if you are a lover. Read this book if you are a woman. Just read this book.